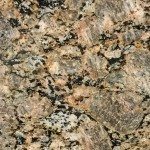 Since Atlantic Stone is a direct importer, we assure you that you are getting the highest quality stone at the best price. Our advanced technology and digital templating allow us to obtain accurate measurements without removing your old countertops. This removes the cost of the middleman and saves you precious time and money. Get a quick quote to see how much you can save with Atlantic Stone. Compare our excellent service and pricing to the rest…you’ll be happy you did!